Create RSS feed for any webpage you need. All you need is to make several mouse button clicks. Subscription that costs between $5 and $200. Price may vary depending on commitment and so on. PolitePol was added by PolitePol in Jul 2017 and the latest update was made in Sep 2018. The list of alternatives was updated Jan 2019 There is a history of all activites on PolitePol in our Activity Log. It's possible to update the information on PolitePol or report it as discontinued, duplicated or spam. Feedity is a web-based service that enables users to easily create an RSS feed from any website for consumption on any platform. Alternatives to PolitePol for Web, Self-Hosted, Software as a Service (SaaS), Windows, Mac and more. Filter by license to discover only free or Open Source alternatives. This list contains a total of 8 apps similar to PolitePol. Free and open source ... 15 items in feeds. Did not test item delay, but compared to other paying service free user, it should not be worse. Most likely best free service. 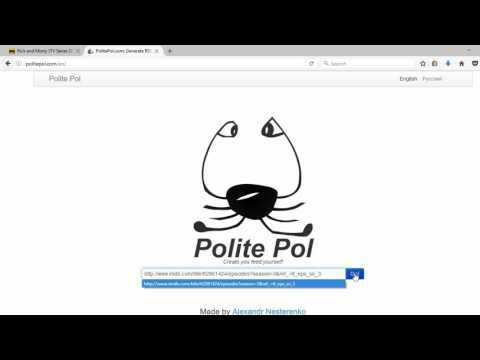 Maybe you want to be the first to submit a comment about PolitePol? Just click the button up to your right!